So there are a lot of exciting things on the way! Here's a little taster of whats coming up in the next few weeks. Want to know more about the world of YA from a male perspective? Watch out for the upcoming interview with author Chris Farnell. 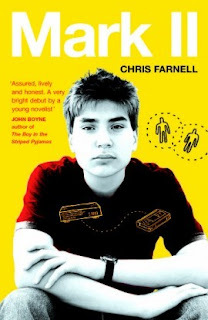 We will be talking about YA books for guys and his debut novel Mark II. I am so excited about this book!! I can't wait to get my hands on a copy!!!!!!!!! When I do, there will be a review. 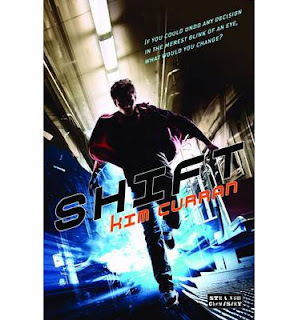 Before that however there will be an awesome interview with Kim Curran, the genius behind Shift. There's plenty of other stuff coming to the blog soon too. This Thursday we have the next meeting for the #YABluewater Reading Group, where we will be discussing Em Bailey's Shift, eating fudge and choosing the next few books. 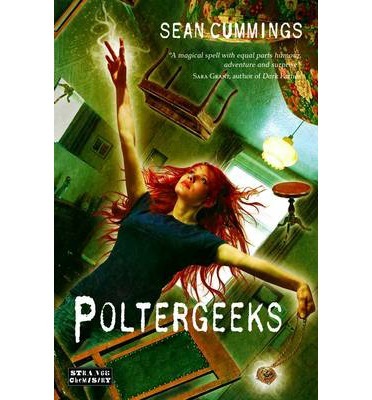 Members of the group will receive a members card that entitles them to a 1/3 off all book club books! So if you want to talk about the greatness that is YA fiction, eat some amazing cake and get exclusive discounts then come along :D We will be meeting at 7pm in the Costa Coffee behind the children's department of the Bluewater store. We have some reviews, for the books of our author of the month Zoe Marriott, on the way too from Bookseller Emma. We also have more interviews on the way too, so I'll do another sneak peak in the next week or so to tease you some more!